Welcome to this issue of The Bookkeeper's Notes newsletter focusing on good bookkeeping practices. 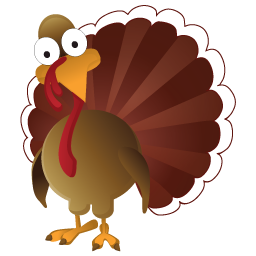 I hope everyone in Canada was able to have a great thankgiving dinner with all the trimmings last weekend! I apolgize for releasing this issue a day late. I am currently the Project Coordinator for the transitioning of a large website and data base. We launch on Tuesday October 18 and I've been addressing last minute issues that have cropped up. In this issue, I've written a short article getting ready for year-end. Focus on Payroll will take a brief look at the record of employment and how the U.S. handles it differently ... and you'll find updated news from the CRA and IRS. Under feature products, I again review the two guides Brooks Duncan at DocumentSnap.com has created. In the forum, you'll find links to some Unanswered Bookkeeping Questions. Of course, this newsletter gives you access to the links of a handful of web pages that are password protected … my newsletter subscribers have exclusive access to these bookkeeping lists and procedures. You will need The Insider's Pass (a password) to access them, which you will find in the last section of the newsletter. I did a bit of rearranging of the U.S. information on the site. I renamed some navigation buttons and moved some information onto their own pages. Employment tax forms (W2, W3, and W4) are now on their own page. It includes a chat on New Hire Paperwork. Independent Contractor Rules also has its own page. Bookkeepers interested in advertising on the Bookkeeping-Essentials's website, can place their ad by contacting me through my website. I'll close saying fall has arrived at the lake as this picture from my neighbour depicts. The mist on the lake while the sun rises is beautiful to watch this time of year. If you are thinking about going paperless, click on the picture below for more information about this useful Guide. 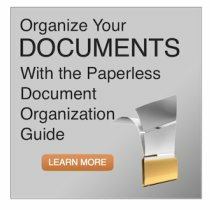 In June, I introduced you to a new product I had found by Vancouver based consultant Brooks Duncan; The Paperless Document Organization Guide. This Guide walks you through naming conventions, searchable text, remote access, backing up ... and the all important workflows. The Guide helps you decide whether to go folders versus software to organize and find your documents. Want to purchase The Paperless Document Organization Guide? Purchase it here. * backing up and workflows ... so you have the ability to successfully go paperless. If you've been wanting to go paperless but don't know where to start, this basic guide at just $47 USD will get you started. It caters to both the Windows and Mac platforms. In August, I introduced you to Brooks Duncan's latest guide ... The Unofficial ScanSnap Setup Guide. Back in the February issue, I told you I had purchased a new ScanSnap ... and was trying to figure out how to use it to begin the move to being paperless. I basically just plugged the thing in and started scanning using folders not software. I created a very loose naming convention because I didn't want to get bogged down in the planning stage and never get around to the implementing stage. I definitely didn't worry about whether my documents were searchable. If you are looking to buy a new scanner, ScanSnap is the one I recommend. This newest guide even explains how to make your documents searchable in a batch after you have scanned ... he must of been thinking of people like me who started by just hitting the scan button! Brooks two guides have me on my way with a system that works for me. I haven't tried all the fancy stuff Brooks talks about yet ... but I hope my system evolves slowly over time. Right now, I have kept it very basic and simple. Want to purchase The Unofficial ScanSnap Setup Guide? Skip the reading and purchase it here. * What software is included, what does it do, and how the heck do you use it? * Is there a way you can prepare your documents before scanning that will save you time and headaches? * What are ScanSnap Profiles and how can they rock your world? * How do you handle business cards? * Making PDFs searchable sounds great, but it slows things down. Is there a way to make it faster? If you want to get the most out of your ScanSnap ... and don't want to spend hours reading or Googling, this guide may be your lifesaver. It's an affordable $8 USD ... way less than the cost of a pizza! I urge you to visit DocumentSnap.com to find out more about this Guide. I recommend Brooks Duncan, and I know you will learn a lot from him. You can purchase the Mac Version or the Windows Version. If you are interested in both versions, Brooks drops the price from $16 USD to $12 USD ... and it comes with a 30 day refund guarantee. You should know that I am an affiliate of Brook's, which means I believe in what he is doing. If you purchase a guide from him using one of the links above or below, he will forward me a commission. Receiving this commission helps me continue providing you, my subscribers, with free articles on Bookkeeping-Essentials.com. If you are thinking about going paperless, click on the picture above for more information about this useful Guide. Just a reminder that ... to allow me time to develop a series of products / courses for this site, I will be unable to respond to questions asked at "Ask A Free Bookkeeping Question" that require research on my part or lengthy responses. Please take the time to visit ... Unanswered Bookkeeping Questions and share your knowledge. I invite bookkeepers who use this site as a resource to repond to these questions. As my way of saying thank you, please "sign" your post with YOUR name and the name and address of YOUR business ... a way to promote your business at no cost. If I get too many questions that I can't respond to ... and site visitors aren't helping each other out with the unanswered questions, I will consider discontinuing this bookkeeping service for a few months until I have time to address questions properly. I will continue to moderate the responses to keep the quality of the information on the site high. How do bookkeepers handle clients who want them to enter data from statements instead of source documents? How does a merchant account work for bookkeeping purposes? If you would like me to personally answer a bookkeeping question for you, my Ask A Private Bookkeeping Question service is still available. I have spent the last year reviewing how to setup your filing system and read your financial statements. In this issue, I thought I'd chat about what you need to be doing NOW to have a smooth yearend. One way to make sure your yearend goes smoothly is to keep an eye on your balance sheet accounts all year long. What do I mean by that? At yearend, your bookkeeper or accountant will (or should) go through every account on your balance sheet and tie it to a third party source document. You can reduce your yearend preparation costs if you submit a clean set of books. * Bank accounts and credit card accounts should be reconciled EVERY month. At yearend, your bookkeeper or accountant is going to want, at a minimum, your reconciliation for the last month in your fiscal year AND the first month in your new year. (They use it for accounts receivable and payable cutoffs). Click here to learn what a bank reconciliation is. * Your accounts payable subledger should be reconciled to vendor statements. If you haven't been doing this during the year or don't receive vendor statements, call today to request one. Click here to learn how to reconcile these accounts. * If you have a bank loan, you probably have been receiving loan statements. What have you been doing with them? Hopefully you have been comparing them to your bank loan balance on your balance sheet and making any adjusting entries necessary. Click here to learn how to record your monthly bank loan payments. * Clean up those miscellaneous over and under balances on your accounts receivable and payable reports. Review accounts outstanding more than 90 days. Your bookkeeper or accountant will to want to know if you think they are collectable. Identify any balances that over two years old so you can bring them to your bookkeeper or accountant's attention. * If you have inventory, mark your calendar to take a physical count on the last day of the fiscal year. If you have a periodic inventory system, learn about your yearend journal entries. * Reconcile your payroll account(s). Make sure they match what you have reported and remitted to CRA/IRS. If there are discrepancies, have an analysis that explains them. Starting this now will make T4/W2 issuance much easier to accomplish on time. * Canadian subscribers, reconcile your GST/HST (sales tax) account(s) to your CRA reports. If there are discrepancies, have an analysis prepared explaining them. * Take a look at how you handled any reimbursement of expenses. GAAP requires they be recorded as income and NOT netted against the expense. This list should keep you busy until our next chat in December. 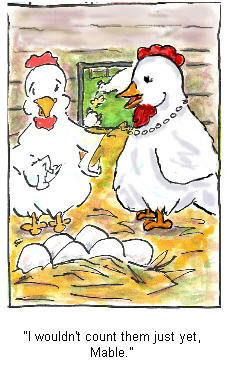 Happy reconciling! Would you like to test your bookkeeping skills ... or prescreen a bookkeeper before you hire them? Service Canada is making changes to the Record of Employment on the Web (ROE Web), so we will take at look at the changes that take effect this month. Then we'll look at what the U.S. does. 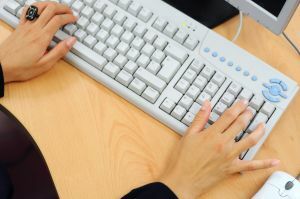 Service Canada is simplifying the registration process for the Record of Employment on the Web (ROE Web). The changes will include technology updates to ensure security for users. An ROE must be issued when an employee stops working for a company whether it is for maternity leave, layoffs, or quitting. The ROE is a federal form/requirement and standard across all provinces and territories in Canada. Employees need their ROE to qualilfy for employment insurance (EI) benefits. But what is ROE Web? It is a secure application that enables employers to process their ROEs on the internet. It allows you to create, submit and print the ROE. Bookkeepers can also submit ROEs on behalf of their clients. As of October 16th, 2011, an online agreement will replace the existing paper agreement. Users have until September 2012 to accept the new online agreement. Existing users will be prompted to complete the online agreement, a professional profile and create security questions the first time they log in after October 16th. For those not yet using the ROE Web, there is a registration process. Think ahead if you are planning on using the service by registering in advance. On March 15, 2009, changes were made to Regulation 19(3) of the Employment Insurance Act to update it for electronically submitted ROEs. Regulation 19(3) defines the ROE reporting requirements for employers. Service Canada's website says employers who paper file must deliver the employee’s copy of an ROE "no later than five days after the first day of the interruption of earnings or the day on which the employer becomes aware of the interruption of earnings, whichever is later. " The regulation changes now "allow employers to issue an electronic ROE no later than 5 days after the end of the pay period during which the first day of the employee’s interruption of earnings falls. However, if there are thirteen or fewer pay periods per year under the employer’s pay cycle, the electronic ROE is issued either no later than 5 days after the end of the pay period during which the first day of the employee’s interruption of earnings falls or fifteen days after the first day of the interruption of earnings, whichever comes first. Furthermore, the changes exempt the employers filing electronic ROEs from printing a paper copy for the employee." Employees wishing to view or print a copy of the ROE, can do so by accessing their My Service Canada account. However, Service Canada says that if an employee requests a printed copy, employers should print one as a courtesy to the employee. To learn more about these changes and how they affect you, visit Service Canada's website. Unlike Canada, the U.S. does not have a federal standard for employment insurance. This means the U.S. does NOT have an equivalent to our ROE form. Each state has their own unemployment benefit program. It is up to each individual to initiate contact and provide their state with their infomation, such as addresses and dates of employment. When employees leave a company, they may also be eligible for COBRA (Consolidated Omnibus Budget Reconciliation Act). It allows the individual to maintain health care coverage while unemployed if they lost group coverage due to termination of employment. It is my understanding that the employer has 14 days after termination to provide the employee with a COBRA package (health care options package). Employers, don't mess up here. It could affect the employee's health care benefits. If you were wondering what to do if you hadn't received Form GST34 Goods and Services Tax/Harmonized Sales Tax (GST/HST) Return for Registrants (personalized), visit CRA's website by clicking on Businesses> GST/HST> What's new for GST/HST to learn your options. The IRS home page has received a face lift too! I think I like it. It is a bit more user friendly. The IRS have a draft Form 940 available due the expiration of the FUTA surcharge. Search the IRS website for "Headliner Volume 312" to get more information. A draft Form 941 for 2012 has also been released as well as the 2012 instructions for Forms W-2 and W-3. Rev. Proc. 2011-39 has the general rules and specifications for various payroll forms including Form 941. It was released in July. There are a few YouTube videos released by the IRS that may be of interest to you - Publication 587 Business Use of Your Home (including daycare providers) and Tax Tip 2011-53 Work from Home? Consider the Home Office Deduction. In the IRS video portal, you may be interested in taking a look at Audit Techniques Guides. They are published by specific industry such as "excise tax on indoor tanning services", "child care provider", and "capitalization v repairs". I've been too busy to take a look, it is on my reading list. I haven't had a chance to read this yet ... but the IRS updated their information about using electronic accounting software records in IRS examiniations. Look in the FAQ section for the new information. You can also find it in "Headliner Volume 303". This one interests me because in Canada, scanned documents do not meet CRA's imagining standards and business owners must still retain their original source documents for possible inspection during an audit. This has not been the case in the States. Notice 2011-72 was issued providing guidance on the treatment of employer-provided cell phones as an excludible fringe benefit. You will also want to check out IR-2011-93. For small business owners who outsource their payroll, you may want to search for Tax Tip 2011-05 on the IRS website. 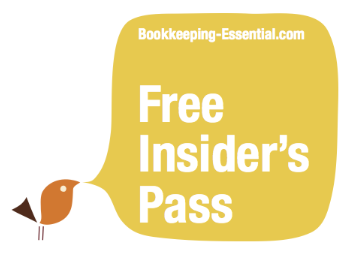 The Insider's Pass gives you access to the pages in Bookkeeping Essentials that are available only to newsletter subscribers ... my way of saying thank you. Here's how it works. The pages listed below will only be partially viewed by all visitors. To view the entire article, you will need your Insider's Pass for access. The password will change with each newsletter … every two months. So if you ever forget, you will always find the most current password in your current issue of The Bookkeeper's Notes. Here is a list of the pages which are password protected so that only my very important subscribers ... that would be YOU :0) ... have access. This wraps up this issue of The Bookkeeper's Notes newsletter. Continue to have a great fall everyone and see you in December. All Right Reserved. Do not duplicate without permission. Inquire about my virtual bookkeeping services in Canada today. Committed to educating & providing support to work from home business owners. (1) As part of your interview process when hiring a bookkeeper. (2) To self assess your bookkeeping skills. (3) As a practise test before writing your bookkeeping certification exam. (4) To prepare for a job interview. Don't worry -- your e-mail address is totally secure. I promise to use it only to send you The Bookkeeper's Notes. Your website is positively BRILLIANT! I don't care at all for the numbers side of my business, but you've made it interesting, fun, comfortable--downright enjoyable! Bite-sized WELL WRITTEN bits walking me through fundamentals, encouraging me, explaining. (Note: "well written" covers everything from "interesting" to "intelligent." The reader doesn't stumble over elementary grammar errors, lots of typos, etc.) I've only just discovered this lovely gold mine!